It's common to use Unity to make games - Rovio used it to make Bad Piggies and the people who manufactured Minecraft have also begun to use it. Mut more and more companies are using Unity for other purposes. One other purpose is simulations. Tesla Motors is a company that manufacture electric cars. 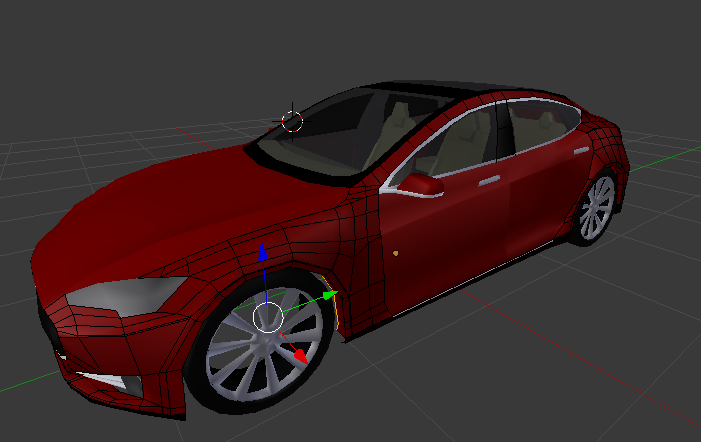 The problem with electric cars is that they are expensive, so since I can't afford a Model S from Tesla, I decided to make a simulator in Unity where you can interact with different cars from Tesla. I will use as much real data as I can find to make it as realistic as possible, but the model of the car will never be 100 percent realistic because of computer limitations. All 3d models consists of a lot of squares, and you must limit the number of these squares in each model or the simulation will run really slow. But what you can make almost 100 percent realistic is the car's performance in Unity. For example, according to Tesla Motor's official data the turning circle is 37 ft (11 m), or the white circle in the image below. A turning circle is a circle where a car can drive around 360 degrees without crossing the border to outside of the circle with any of the wheels. You can also open the trunk and the frunk (the front trunk in a Tesla Model S), but I will add more functions in the future. It's a little bit tricky to build up the vehicle in Blender and it's not easier when you don't have access to the real product. There's a Tesla Store in my town, but it's far away, so I've vacuumed cleaned Internet on images. 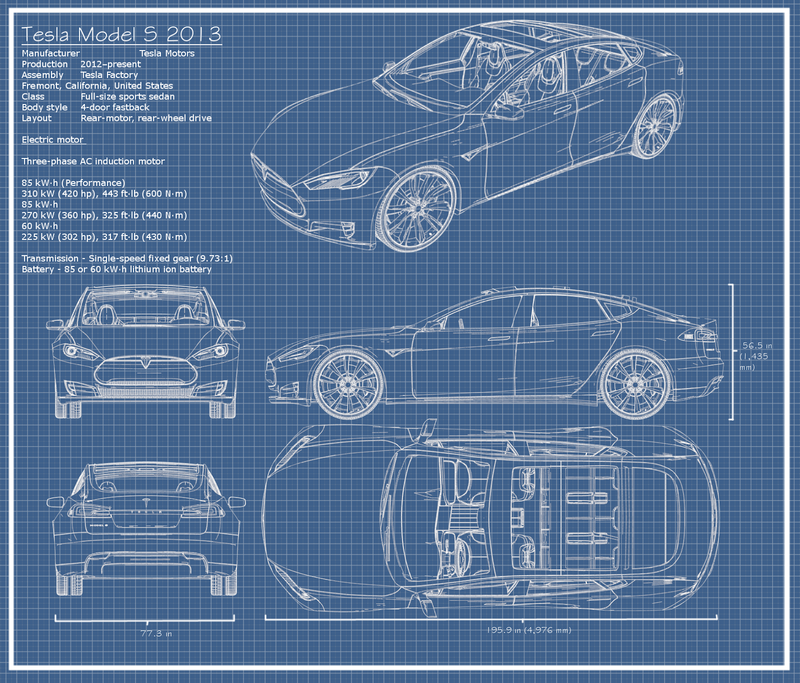 There's also a few (unofficial) blueprints available.